Clipping Chix: Target: FREE Bic Ball Point Pens with Coupon! 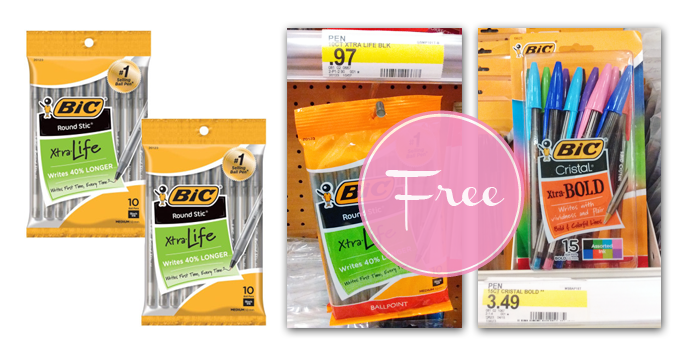 Use a $1.00 newspaper coupon to get a 10-pack of Bic pens for free at Target! Or stack the coupon with a 25% off Cartwheel offer to get a 15-pack of pens for $1.62! Total $1.62 after coupon and cartwheel!